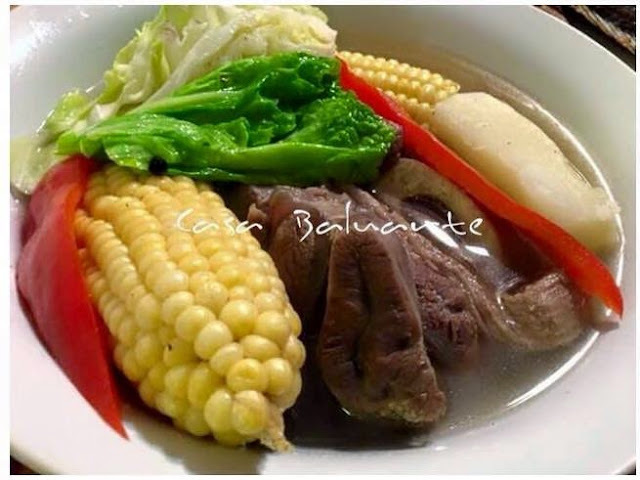 Bulalo is one of the favorite soup among Filipinos. What I love about this dish is the veggies specially when half way cooked then dipped in fish sauce. Boil beef shank in enough water with peppercorn and onion till beef is almost done. Skim off any excess fat and floating brown stuff. Add the corn half way. When beef is almost fully cooked start adding the veggies starting with the potato. Season with fish sauce, salt and ground black pepper. 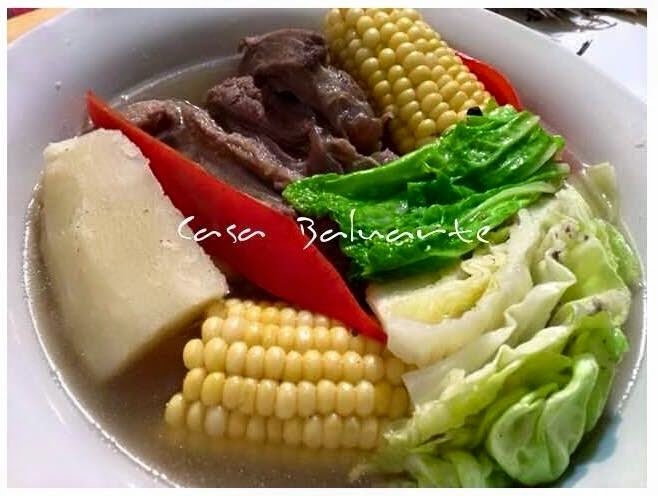 When potato is almost done add the bell pepper and cabbages. Simmer for few more minutes then remove from heat to avoid the veggies from being over cooked.